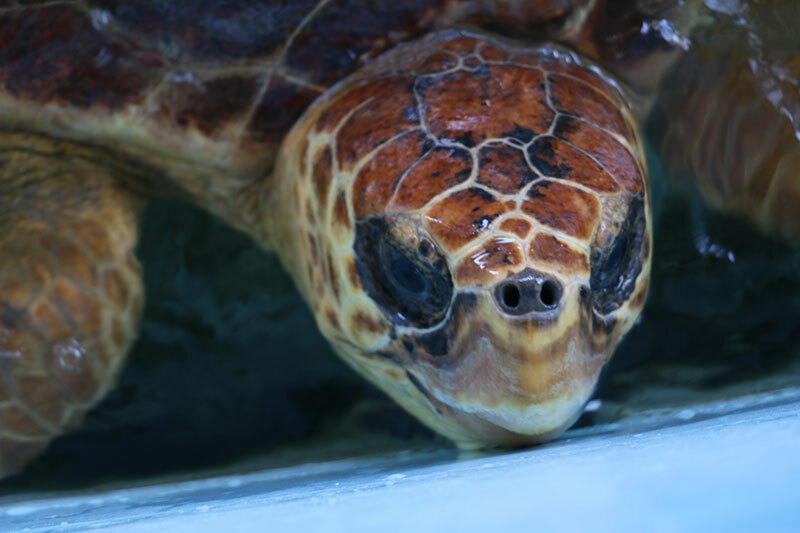 Drax, a loggerhead sea turtle was brought to Gulf World Marine Institute on June 6, 2018 by a representative of Florida Fish and Wildlife Conservation Commission from Saint George Island. The animal was seen floating abnormally in the water column. Drax was debilitated and had buoyancy control problems. While at GWMI, Drax was given antibiotics and monitored closely by veterinary staff. The animal had air in the body cavity that was found by a CT scan. Eventually the animal regained control of its buoyancy and began to successfully forage and dive. The animal was medically cleared to be released. Drax was released on September 20th, 2018 on St. George Island.